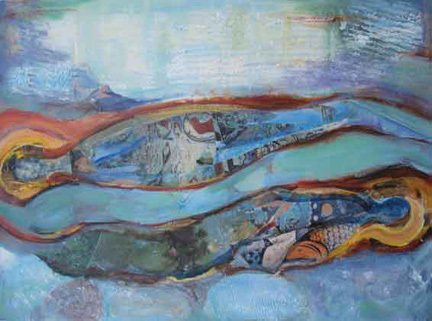 The Mendocino Art Center has announced awards for the current “Members’ Juried Exhibit,” which will remain on display through February 23, in the Main Gallery. The Art Center’s contributing members submitted over 170 pieces of artwork for consideration, with 60 selected for exhibition. One of the Gold Rush Era Shipwreck Frolic cannon’s may be back in Mendocino for the 2008 Mendocino and Fort Bragg Whale Festivals. John W. Foster, Manager, Archaeology and History, Archaeology, History & Museums Division, California State Parks, reports: “the cannon is out of electrolytic treatment. Don Keith recently provided the new processed chemical coating treatment which is the final step before controlled humidity display. This is the same final treatment used on the conservation treatment for 1554 Padre Island shipwreck materials. So, it needs to be coated and then put into a controlled environment so the sealant is protected, which keeps moisture out of the artifact. Charlie hopes to bring or ship with the March 15 event at Ft. Ross. He also has the Frolic ceramics in acid free boxes ready for delivery.” For the past few years the cannon has been in the midwest going through preservation process. When it returns it will be on display inside the Point Cabrillo Lighthouse. Here is another update from Captain Tim at All-Aboard Adventures about the ongoing migration of California Grey Whales. There’s a lot of info about whalewatching on our Whale Migration page. History: Late Tuesday evening on Jan 8, 2008, there was a severe fire in the apartment above Gallery Bookshop in Mendocino. The fire not only seriously burned the tenant, but also melted his bathroom. Between the melted water pipes and the firefighters’ efforts to save the historic Jarvis-Nichols building, the bookstore below was thoroughly flooded. 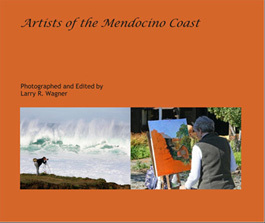 In a gathering constituting a veritable who’s who of Mendocino area artists, the Mendocino Art Center will host the artists featured in local photographer Larry Wagner’s beautiful photography book, “The Artists of the Mendocino Coast,” for a group signing and party, Sunday, January 20, at 5:00 p.m. Many of the 77 distinguished artists will be on hand to sign copies of the recently released book for a small donation to the Mendocino Art Center. Wine and hors d’oeuvres will also be available. Those who already own a book may have their books signed for a $5 per copy donation to the Mendocino Art Center.